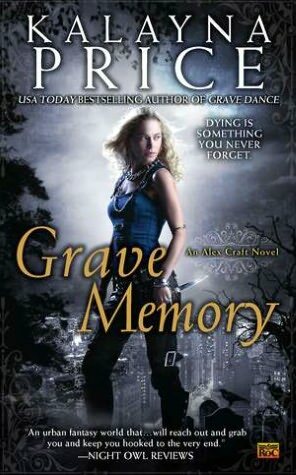 First, I want to wish an incredibly happy book birthday to D.B. 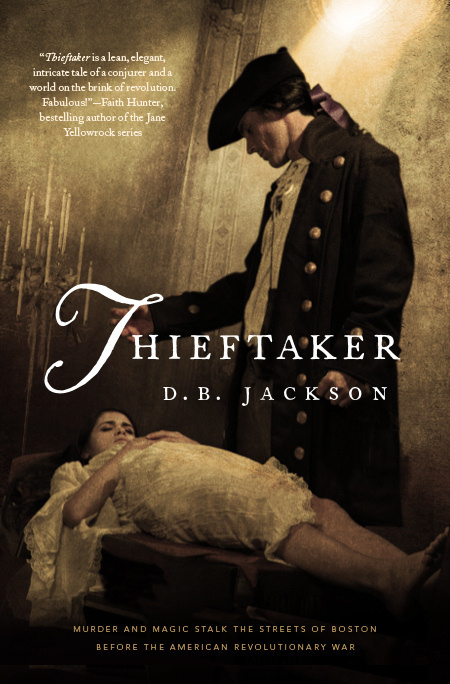 Jackson and Kalayna Price for THIEFTAKER and GRAVE MEMORY respectively! Check out last week’s guest blogs by D.B. Jackson and Kalayna Price (and, of course, I hope you’ll want to check out their new works as well)! A novel can, and often does, take months and months to complete. Sometimes you have writers groups or critique partners reading as you go, offering support and encouragement, but often, especially if you’re on tight deadlines and don’t have the time to go through this process, you’re on your own. Motivation and gratification have to come from within. Likewise, there can be many months between book releases (and thus reviews and other accompanying hoopla) where you’re not getting the validation or kudos that feel so good and can help you when you’re having a hard time. This is one of the many reasons fan letters are wonderful. They remind you that you’re touching people with your words, even while you’re hiding out in your author cave, unbathed and unbrushed for possibly days on end as you rush toward the breathless conclusion of your book. But you can’t always count on external pick-me-ups, so I wanted to talk a little bit here about keeping up a healthy mindset. Here are a few of my tricks. I hope they help and that if you have others, you’ll share them here. I bead. I make jewelry. Because novels can take so long to write and then revise, I need some form of instant creative gratification. I can make a single-strand necklace in an hour. Multi-strands obviously take more time. Sometimes I need to do a project from start to finish just for that sense of satisfaction. Maybe for others it will be writing flash fiction or running or cardmaking. It’s incredibly valuable to have something that will give you victories throughout the days and weeks of writing. My ring. Not the One Ring, though that would be pretty cool, but a freshwater pearl and moonstone ring I bought when I made the first sale of my own fiction. I wear it everywhere. Every time I receive compliments on it, I can mention it’s meaning, and it makes me happy. It reminds me of something positive. I now buy something special (it doesn’t have to be expensive) when I receive my first advance from any new sale because I have tangible and constant reminders of successes. There once was a woman with an apple barrel filled to the brim. She was generous and gave her apples out to everyone, until one day she reached into the barrel and found she was scraping the bottom. There were no more apples! She had given them all away and hadn’t kept even one for herself for eating or planting of seeds, and thus found she had no more to give. She probably used a lot more words, but the message is the same. You’ve got to keep something for yourself and take time away to plant new seeds and let them sprout. Sometimes you have to say no (to judging contests or giving quotes or writing just one more guest blog) to take the time you need for yourself and avoid burn-out. Cheering on others’ victories is pretty fabulous. Gives you the same endorphin rush as celebrating your own. Maybe more, because there’s no tiny seed of doubt about whether you’re truly worthy (…oh, is my psyche showing?). So cheer on others as you would have them cheer on for you (and now it’s that Catholic upbringing). I hope these help. I’d love to have you share ways in which you renew and enrich yourselves as writers. I love making jewelry. I need to venture out and practice making necklaces and earrings. Cardmaking is another one of my favorites. I’m a little addicted to what I call gift basketing. I’ve always enjoyed putting together baskets for special occasions. Now I enjoy customizing them for my writer friends and people who have gone out of their way for me. I can always tell if someone is genuine and when they are, I really enjoy making a goody basket for them. What a great reminder on buying a special something with your advance! You’ll have to share a pic of your ring. I’m curious now 🙂 I am def putting this on my To Do list when the time comes. Fabulous idea!! And also great idea for buying a reminder for each book thereafter. When I used to work full time in the salon, I would save my tip money and buy furniture and special items for the house. I still have a lot of great reminders of my hard work. I once saved enough to take my hubby to Hawaii. And what another great reminder about the apple story. It’s so true. It’s easy to get burned out if you’re not careful. Take time for yourself. Cheering others definitely gives you an endorphin rush as it it were your own. I love seeing others succeed (speaking of Catholic upbringing lol). You pretty much nailed this post! Loved it! Thanks so much, Martha! I admit, you were one of the people I had in mind when I mentioned card-making. What a positive, inspiring post! Super ideas to reward and cheer yourself on through life and career.